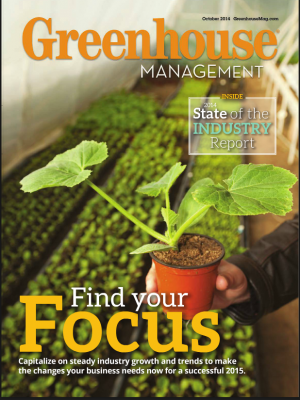 This article was originally published by Greenhouse Management Magazine for their October 2014 issue. Premium crops command premium prices and profits. So why avoid them? As the marketplace changes and margins become tighter, this is a good time for growers to move away from commodity products and toward more value-added items that command a better price. Forward- thinking growers are also investing more in proprietary products, such as their own brands, to help differentiate and drive sales. Yet, many still cling to an outdated production list because it’s what is comfortable and easy to ship, even as profits decline.